Like much of the Midwest, the town of Blair, Nebraska often deals with unpredictable weather and heavy storms during the spring and summer. Storms and frequent rains can lead to water entry in the basement and even foundation issues. 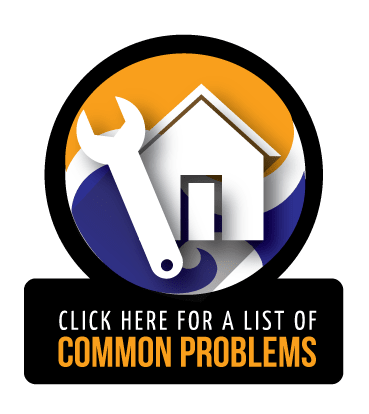 Often, water issues in the basement are caused by water collecting around the base of the home and seeping through the concrete of the foundation. 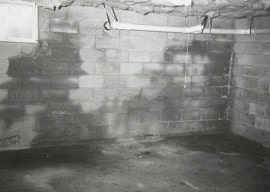 Problems that can be caused by a wet basement include mold, pooling water or flooding, water stains or damage to personal possessions, and high humidity. We have the products and solutions to get your basement waterproofing taken care of, ensuring that your Blair, Nebraska home is safe and dry. If you have foundation problems, we can either install steel piers or helical piers, depending on your foundation needs. Steel piers are driven into the ground until they anchor in stable soils far beneath the surface to offer stability for the foundation. Helical piers are screwed into the ground for the same purpose. Once installed, the piers can be used to support the weight of the structure above, leveling the foundation in the process. Another foundation repair option offered in Blair is to install helical tiebacks or plate anchors. 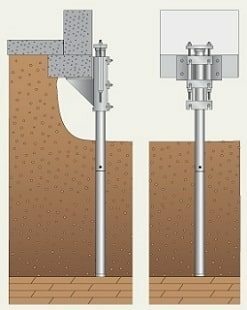 While both devices are installed horizontally underground to pull shifting foundations into place, plate anchors use a rod and plate, while helical anchors work more like horizontal helical piers. Foundation repair products that we use are from Earth Contact Products (ECP), one of the leading manufacturers in the business today. If your Blair home has a crawl space, it is important to have it waterproofed with a vapor barrier that will keep moisture from getting inside. Our puncture-resistant vapor barriers are the best in the industry. They are strong enough to remain intact long-term and moisture-retardant enough to keep water out and prevent leakage through cracks. If it is radon service that you need, we also offer radon testing and mitigation in Blair, NE. Jerry's Waterproofing test homes for high levels of radon. If we find that you have high concentrations of radon gas, we provide radon mitigation to reduce radon levels. 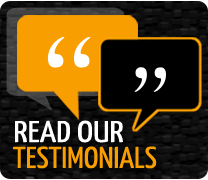 Contact us to learn more about all of the services we offer in the Blair, NE area.